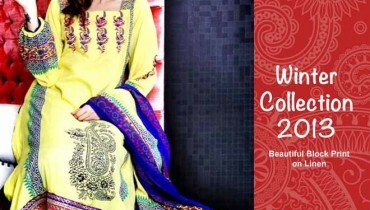 Threads and Motifs bringing you the most creative and inventive, intricately embroidered Latest Summer collection 2012. They continuously strive to blend high couture designs and styles and introduce fresh ideas in our stores on a daily basis, at affordable prices. It is consisted of vibrant color blend and soothing patterns that compliment best for spring. Each print has pretty pinks and blue designs amalgamated with refreshing white, aqua and calm black. 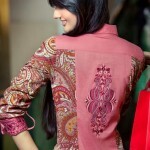 Threads and Motifs is one of the most famous embroidery outfits fashion label for women. In Threads and motifs Latest Summer collection 2012 mostly panel frocks, A-line shirts and straight long shirts are included. Colors of the dresses are very attractive and best quality fabric has been used.